The hard surface is unmatched; it collects less dust and dirt, agents that cause problems for people with allergies. You can create the look you want with the scoring patterns you select, and the color you choose for stain. As long as you are starting with a solid, stable foundation, the flooring will not crack or shift on you over time. 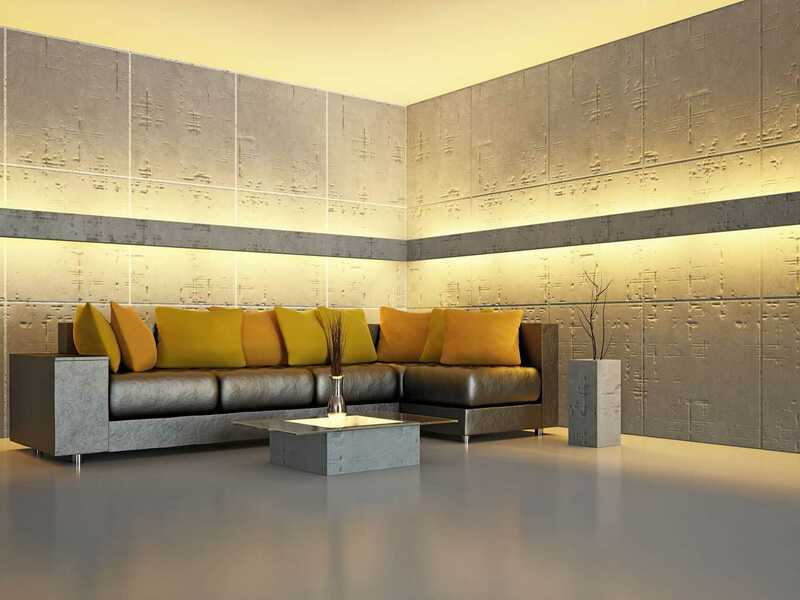 Concrete Flooring is incredible affordable! Why Choose Stained Concrete Flooring? One of the smartest ways to make your floor a visually appealing space is to use stained concrete. Selecting stained concrete flooring for major projects has become one of the most popular flooring approaches in both new construction and renovations. The unique character it adds to a home is one of the reasons people are choosing it, rather than any other flooring option. Stained concrete flooring is durable, easy to clean, and is perfect for people who suffer from allergies. It is well documented that carpet can be a major factor in an increase in allergies. The fibers in carpet trap dust, dirt, mold, and other allergens, and no amount of vacuuming or carpet cleaning can prevent this from recurring. Proper installation and sealing the concrete floors with a non-VOC sealer will make it impossible for any mold growth underneath these floors, a problem that hardwood or even laminate floors can have. Concrete flooring is easy to clean and maintain and a really smart and inexpensive choice, especially for allergy sufferers! Installing stained concrete flooring is not only an easy process, but also highly cost efficient. The durability of concrete flooring is an added advantage. You may wonder if it is difficult to clean this type of floor or if cleaning stained concrete requires any special processes or products, but this is not the case with this type of flooring. Cleaning is completely easy, especially since, if properly installed, the stained concrete floor will be smooth and will not catch dust or stains easily. Stained concrete flooring not only helps in maintaining a clean home, but also a healthy home. You can make your own color variations in the stained concrete by mixing and matching or applying acids at different rates. Different application processes allow you to control how mottled or marbled the stained concrete flooring looks. If you prefer the marbled look, you will simply spray the acid on the concrete when staining, as this will give it the most variegated design. If you want to downplay the mottled look, you can use a push broom or other brush to go over the wet acid in a figure-8 motion to make it smoother and more even. Don’t expect the final look of the stained concrete to be a smooth color, though, because this finish is translucent, so there will be areas of darkness and lightness naturally in the concrete finish. Getting a customized look to your floor is another reason for selecting stained concrete flooring. When selecting stained concrete flooring keep in mind that acid will give your floors a marble-like, variegated color pattern. The colors that are usually seen in this concrete flooring are browns, reddish browns, and even green. 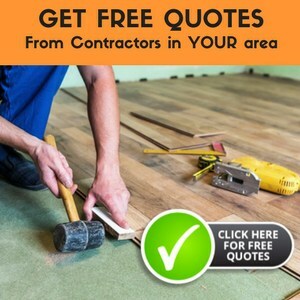 An added advantage of this type of flooring is that making changes to the staining on this kind of flooring is just as hassle free as installing it; hence you can have a change of patterns or color every few years if you so desire. 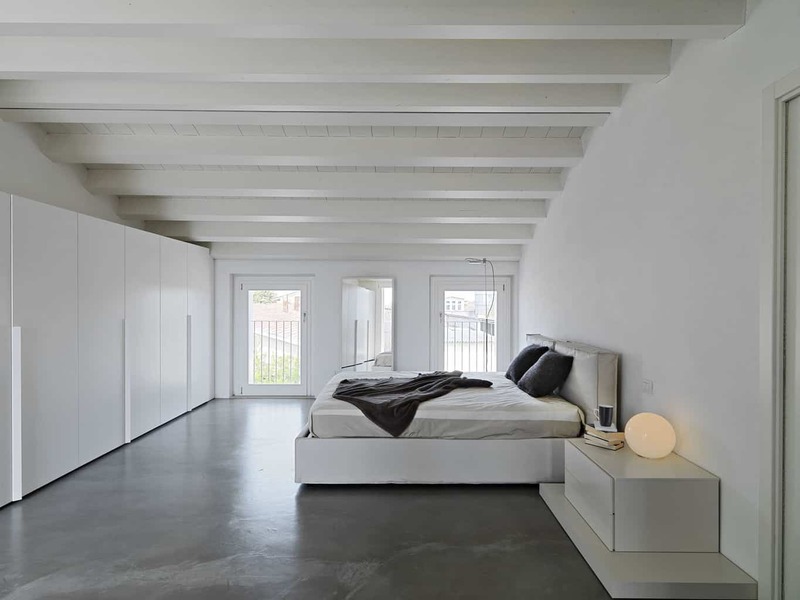 So How Do You Go About Customizing Your Concrete Flooring? 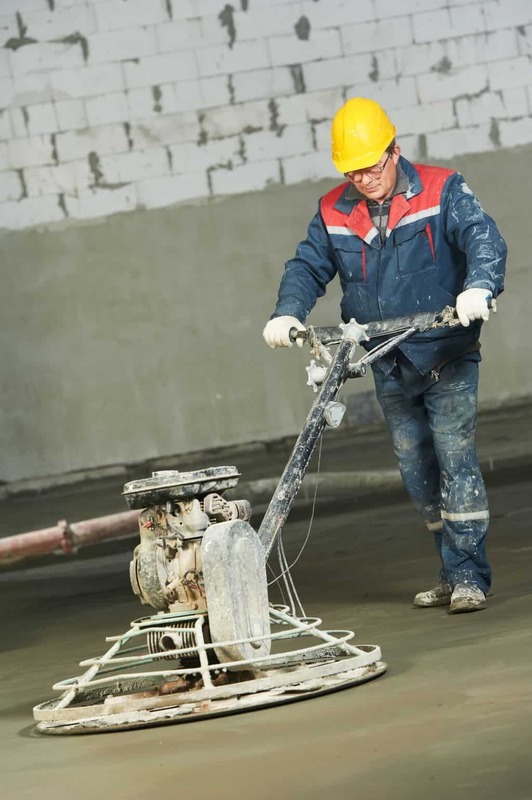 Pouring and curing a concrete floor is a very doable process, if you are willing to put in the labor. Typically, with concrete, it is almost always worthwhile to hire a licensed contractor to install an interior concrete floor, since the labor involved is intense, mistakes can be costly, and the materials used in a concrete floor are so inexpensive. If, however, you are going to do the concrete pouring yourself, there are limitless how-to videos out there to show you how. This how-to video is a great short video that shows you the process on a small scale, but gives the specifics of the process of installing concrete inside the home. A brand new concrete floor that is not worn is the best option for staining. If you are starting with a preexisting concrete floor and just wanting to stain it, it must be completely smooth and uniform in order for the stain to make the flooring look the best that it can. If you are staining a newly poured concrete floor, it is important to allow time (at least three weeks, depending upon the suppliers instructions) for it to cure completely before you attempt to stain it. Now, you are ready to stain the flooring! 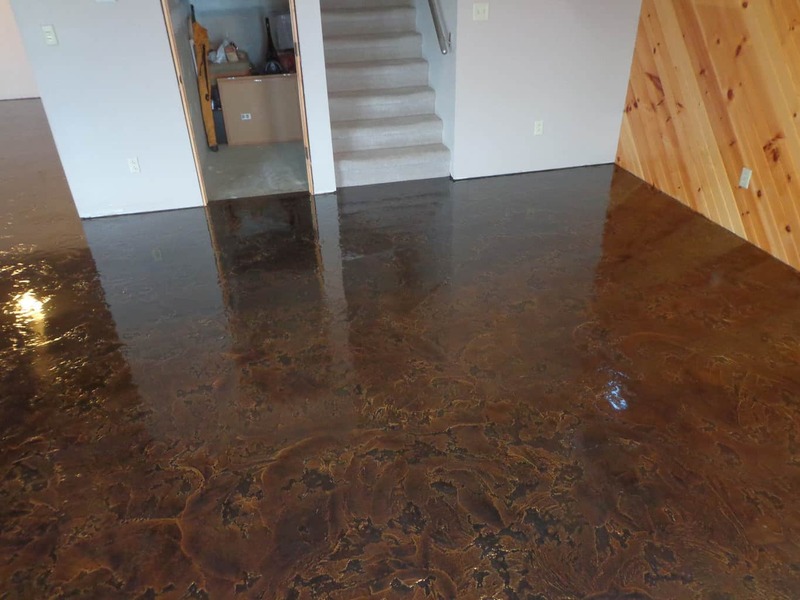 While the process is called “staining” and these are referred to as “stained concrete,” you do not actually use a stain on the concrete floor. What you are really doing is causing a chemical reaction between the minerals in the concrete, the acid you will be using, water, and inorganic salts. This chemical reaction creates the colors and the mottled look on the concrete floor. What Tools Do You Need to Stain Concrete Flooring? A Sprayer (or assorted sprayers): The manufacturer of the concrete staining acid will recommend the right kind of bottle for your product. You may also want to spritz the concrete with water from another spray bottle to further dilute the stain and produce a little more variation within the coloring. Paint Roller: To apply the sealer after the acid application process is finished. Masking tape and paper: Before starting, make sure to carefully mark off walls and floors where the stain will not go, as acid stains are permanent. 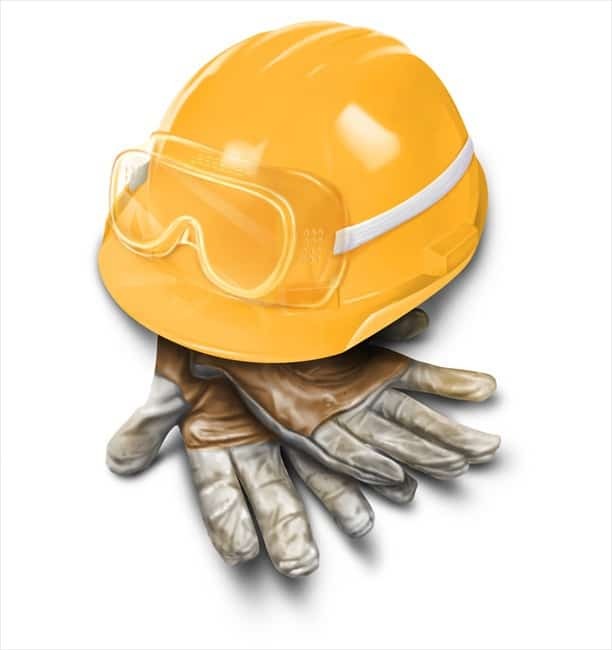 Rubber gloves and safety glasses: You are working with acid, be sure to err on the side of caution! Also, make sure to wear heavy duty shoes and clothes that you won’t mind ruining. The basic process is that you will do the staining simply by spraying the acid solution onto the concrete in several applications. Brushes, assorted sprayers, and dilutions of the acid with water and ammonia concentrations can all be used to increase the customization and really enhance your final completed masterpiece. One customized stained concrete floor I saw had a sun pattern scored into the concrete. Someone had gone to a lot of effort and laid gold glitter into the scores before the stain was applied. After the final “varnish” coat was finished, the gold glitter solar pattern was still visible, but subtle and really unique. I would contact the concrete mason who poured the floor. A new concrete floor should not be cracking all over. You should probably find the source of the problem before doing any repairs. Be sure to ask what they suggest for repairing the damage that has already been done. It may be something that is covered for them to fix at no expense to you. You should be able to buff the floor with or without the wax. However, if you like the look of the sealer alone, you should be safe to leave it at that. My husband and I are remodeling our home, and we’ve been thinking about having stained concrete installed. I absolutely love the look of the different concrete. I didn’t realize that concrete flooring could help with allergies, as you explained! There are so many different benefits to having this flooring installed! Thanks for sharing!